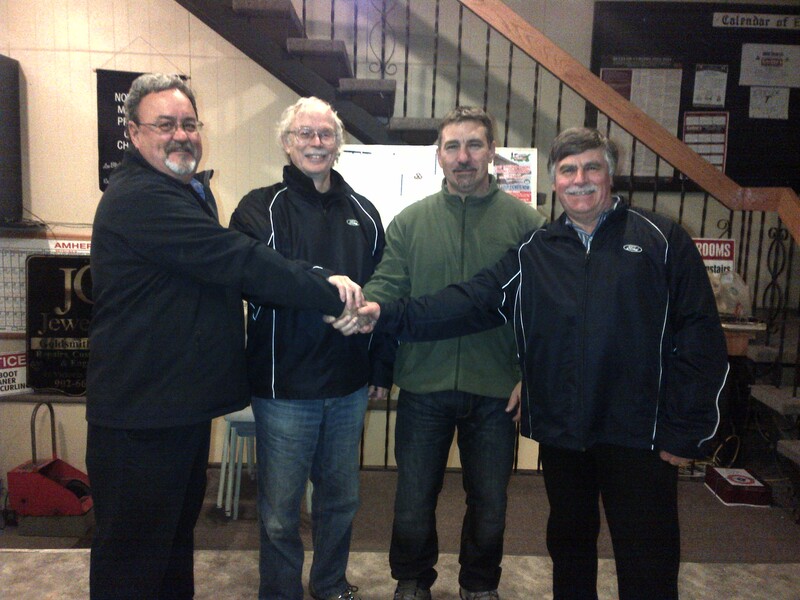 The final round of play for the annual Presidents vs. Vice Presidents trophy, sponsored by Jim Hatheway Ford, was completed at the Amherst Curling Club on Feb 25th. Final results are the Ray Fowler team including Brian Faught and Dan Jolly taking the trophy. Prizes were presented by Bruce MacNeil from Jim Hatheway Ford Sales.